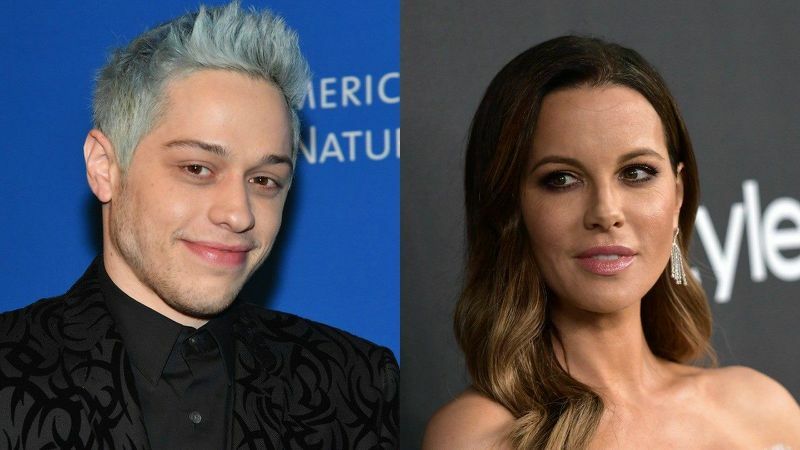 Kate Beckinsale revealed that her current boyfriend Pete Davidson comes with his 'Own Bag of Mischief'. Kate Beckinsale has finally broken her silence about when she and Pete Davidson were caught heavily making out in the stands at a Rangers game at Madison Square Garden. In an interview with the Los Angeles Times diverted in the direction of her Amazon show The Widow, Beckinsale evaluated her relationship with Davidson and the hubbub around the “May–December” relationship that was mocked globally. Pete and Kate's relationship has made headlines on multiple occasions. “I’m surprised by the interest. I’ve never been in this position before—never dated anybody who comes with their own bag of mischief. It’s all quite shocking, and something to get used to. I think if you liked the person less, you would bow out of it. If that were the main thrust of the relationship, there would be a problem. But it’s not." Maybe that's the reason why extremely famous women flock to him. The reason, however, is totally justified as the issue would not have been as such hot waters if it were an older man dating a younger woman. Kate has deleted all of her Instagram posts recently and the reason is thought to be the exhaustion from the intense attention. Nonetheless, with baseball season is just around the corner the two are expected to be in a lot of outing.